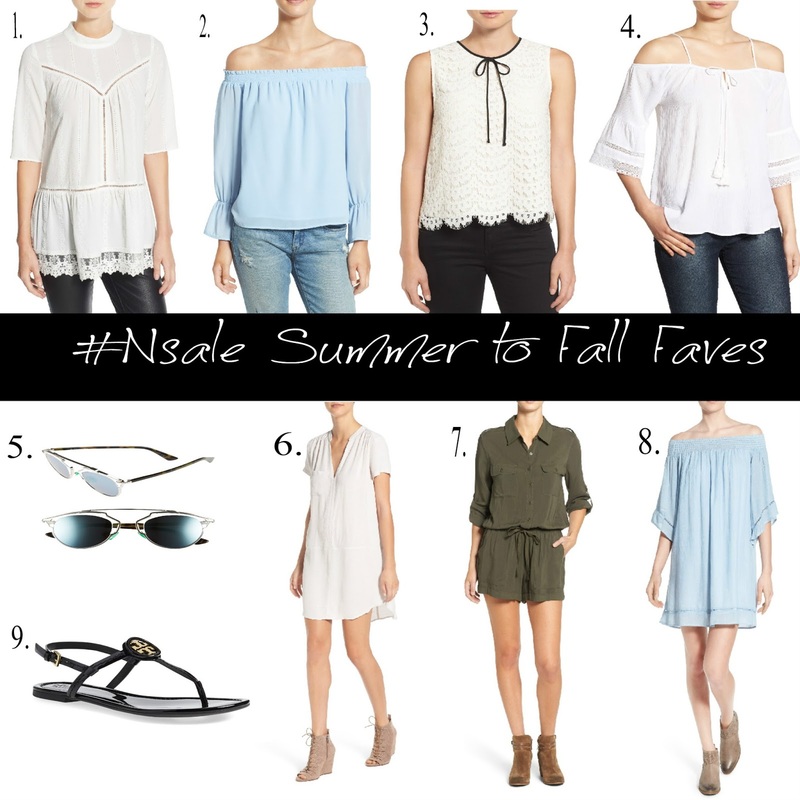 One of the things that I was most excited about this year with the #Nsale is the vast amount of pieces that are still IN SEASON…as in Summer clothing that we can wear now, transition to Fall with and that are on major sale. Typically with sales, its the cast offs or random sizes left over from last season but the beauty of the Nordstrom Anniversary Sale is that you get to buy stuff you can wear right now or next Season! It’s literally unheard of for retailers to do this and that’s why this sale draws so much excitement. Depending on where you live, Summer doesn’t end September 1st. In fact, as much as we’d love to break out our coats then, it can be really warm through October in certain areas of the country so ideally part of your wardrobe would be built around pieces that can transition you from Season to Season. These are my favorite items that will take you from hot to chilly with simply the change of a shoe or the addition of a layer. 1.) 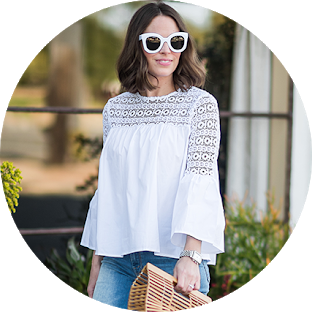 White Lace Peplum Top– How this is styled is a perfect example of transitioning. It’s paired with leather leggings in this photo but you could wear it now with denim or white skinny jeans and it would be an ideal Summer outfit. And btw, peplums are here to stay! 2.) Blue Off The Shoulder Top– This trend is here to stay for a few more Seasons and I love the sleeves on this one! 3.) Lace Top– How dainty and feminine, right? Wear it now with shorts and wouldn’t this be a perfect top for the Holidays? With a pair of glitzy chandelier earring and leather leggings or black pants? 4.) Off the Shoulder Top– This to me is screams Summer. I bought it because I don’t have a white classic off the should top and you can’t beat the price point…not to mention the tassel tie! And it fits like a dream. 5.) Dior Shades– I was shocked to see these on the #Nsale. Obviously these are an investment but they are the IT shades of the moment so if you’ve had your eye on them for a while, now is certainly the time to pull the trigger! 6.) White Dress– Love this Dress! If I didn’t have this one already which I wear constantly I would have bought it. 7.) Army Green Romper– Perfect in every way. Wear it now with some lace up gladiator sandals or the Tory Burch sandals (see #9) and wear it in October with booties (these are the ones I kept if you were following along on snapchat). 8.) Blue off the Shoulder Dress– I had to have this dress. I loved the details on the sleeve and again, you can’t beat the price point! 9.) Tory Burch Sandals– TB classic black sandals on sale? Sign me up. PS- The #Nsale is for a limited time only! Prices go up again 8/9.